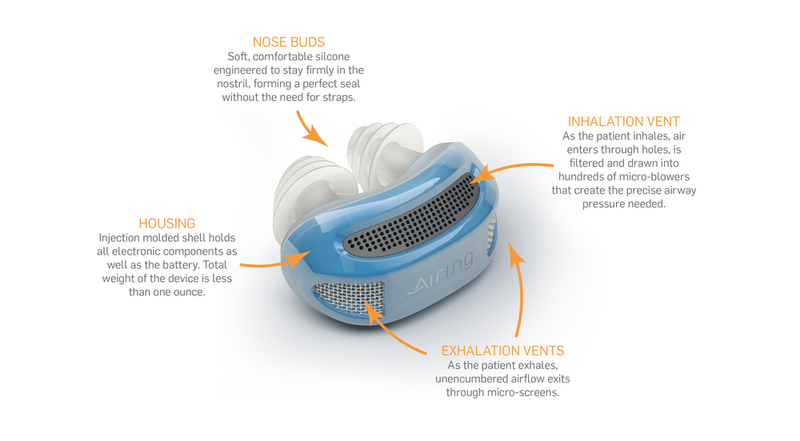 Airing is the breathing machine that is small comfortable and mind blowing-ly simple. For those who struggle with breathing, or have sleep apnea, using a CPAP (continuous positive airway pressure) device could be really uncomfortable and difficult to sleep in. 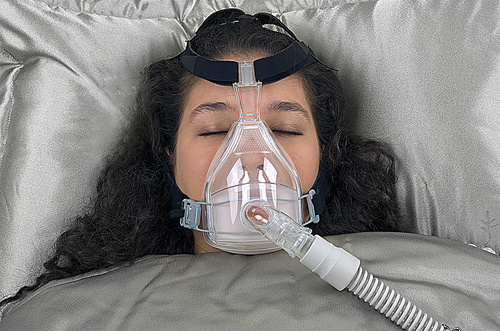 The tubes or heavy device necessary are difficult to get comfortable to and most who experience sleep apnea decide not to wear the device to sleep and as a result are risking their lives. Stephen Marsh’s invention is a breath of fresh air; quite literally. Marsh is an inventor with more than 75 patents to his name. While working on micro pumps in MEMS (Micro Electro Mechanical Systems) Marsh discovered a lot of inefficiencies in the technology that led him to accidentally discovering Airing. In an attempt to apply the science he was studying to his personal life, Marsh used Micro pumps to help his brother with sleep apnea and incidentally Airing was born. The device can fit in the palm of your hand and fits firmly in your nose so you don’t have to worry about it falling out or dealing with the heavy devices and masks like with a traditional CPAP. 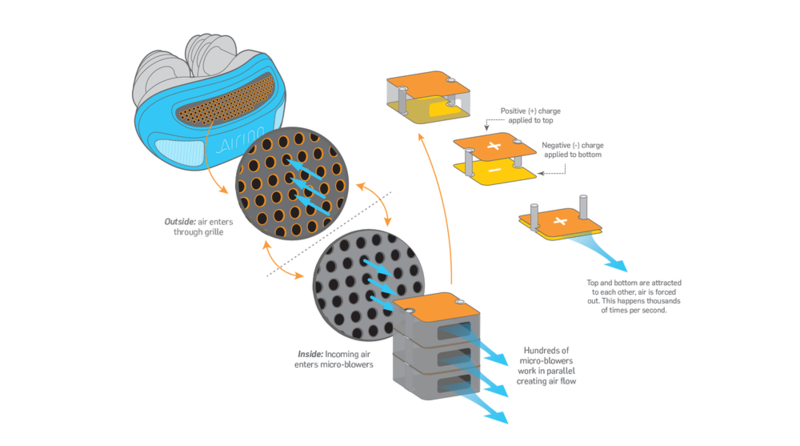 Air enters the grill of the Airing and then gets pumped by micro blowers and allows airflow to enter the nostrils. The companies project is still in funding and is expecting a launch on indiegogo in June. Keep posted!